Some say it’s a life saving alternative to a crippling opioid addiction. Others say it’s a dangerous alternative being marketed and sold as an addiction management supplement in smoke shops, and it needs to be stopped. The DEA and the FDA have been fighting through fears and evidence and Kratom supporters insist on having their say before a final decision is made. Kratom is a substance taken from the leaves of a tropical tree known to Southeast Asia, where it is commonly used for pain management and lethargy. Kratom is closely related to the coffee tree and in south Asian countries it is known for its energizing benefits and mood boosting properties. Alternately, in 1895 it was also known as an opium substitute and in 1897 it was used to wean people off opium. The ground up version of the plant has two alkaloids that are seen as potentially dangerous, 7-hydroxymitragynine and mitragynine. 7-hydroxymitragynine is the chemical compound that has a similar effect on opioid receptors, but at one one-tenth the MU Opioid Receptors (MOR) potency of morphine. Mitragynine makes up nearly two thirds of the alkaloid extract, which can account for its sedative properties. Activated MOR’s are subject to symptom similar to heroin use, including respiratory depression, constipation and developed tolerance. In the US, 3 to 5 million people use Kratom regularly according to estimates given by the American Kratom Association, an advocacy group formed in 2014. Those numbers are hard to confirm, but a quick search on the Internet can show evidence of kratom’s presence in the states. Facebook and Redditt groups have hundreds of thousands of members combined all praising the supplement as a life changer, and say the drugs abuse statistics are lower than what have been published. Many members believe the pharmaceutical companies have used their influence to persuade the DEA to criminalize the powder because it would take away from their profits if used as widely as pain medications are today. 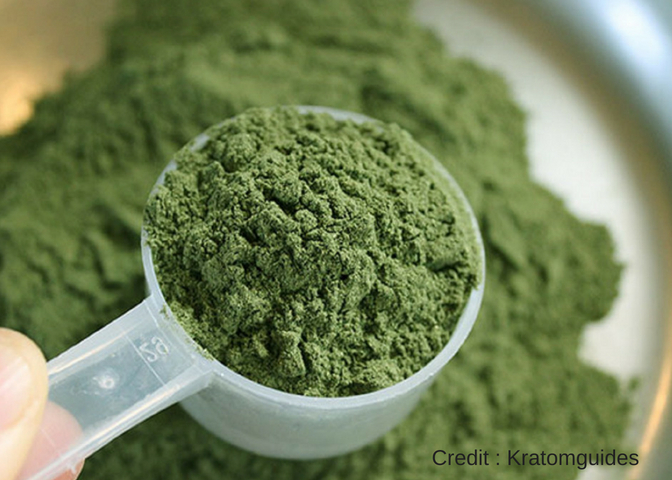 In 2016, the Drug Enforcement Agency announced plans to classify Kratom as a schedule 1 substance. Substances in Schedule I include heroin and other deadly synthetic opioids, and are considered to have no known medical benefit and a high potential for abuse. Supporters cried for more research and the decision was postponed. But talks were renewed last year after the FDA issued a public health advisory for the plant, calling out concerns about its risks for abuse and addiction. The FDA believes people are using Kratom to self medicate for withdrawal symptoms due to promises made on packaging from Kratom vendors, despite the fact that it has never been officially approved for any medical purpose. At this time, the FDA has officially recommended the DEA go ahead with it’s scheduling and the decision could come as early as this summer according to sources. Kratom advocates know this is going to be an uphill battle, but believe strongly in the herbs’ healing and soothing potential for those who have battled opioid addiction and much more. Many feel that if the ban should go through and be classified with other known dangerous opioids, users will be forced to turn to the drugs they were trying to escape from in the past.